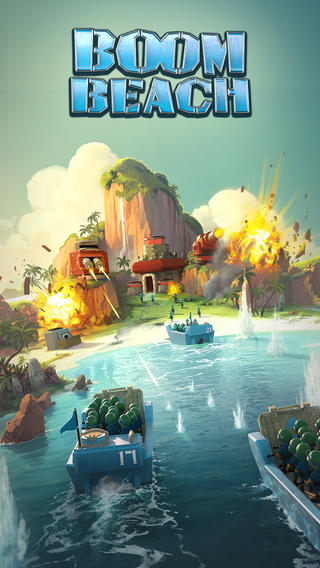 Boom Beach is a strategy combat game, where you face off against the evil Blackguard in an uncharted archipelago. 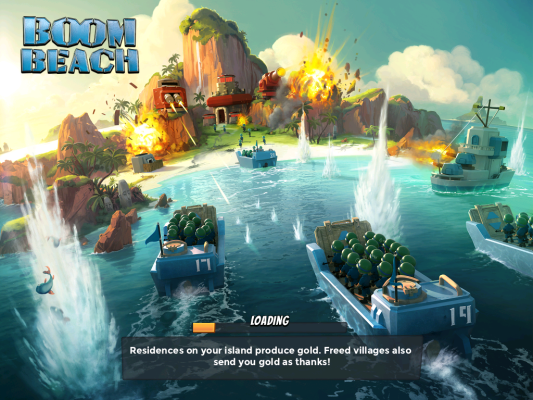 Free every beachhead and liberate enslaved islanders in a noble quest! 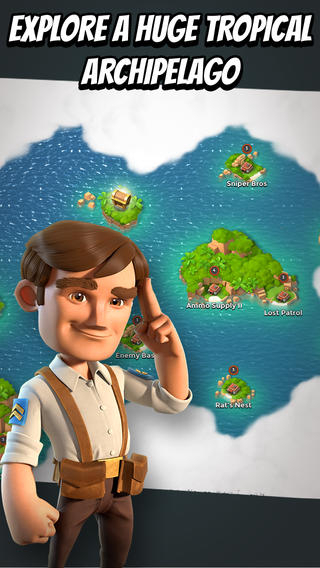 A Tropical Adventure: Explore a vast tropical archipelago, finding treasure and danger on every shore. 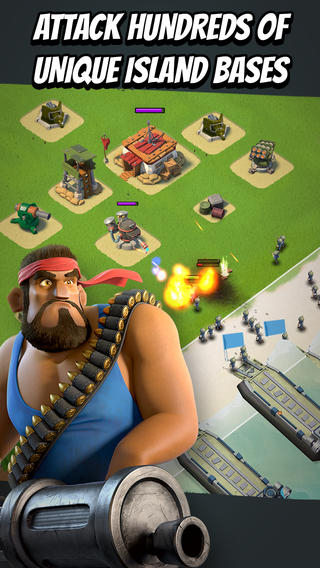 Raid Ready: Find and raid other player's bases, and take home the spoils of war - with your enemies frequently changing as time goes on. Discover the Mystery: Uncover the power of Life Crystals and ancient statues, face fearsome bosses, and uncover the evil plans of the Blackguard. 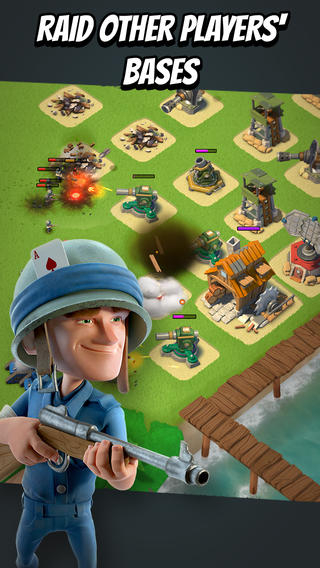 Boom Beach Review: A Better Clash of Clans? Definitely!